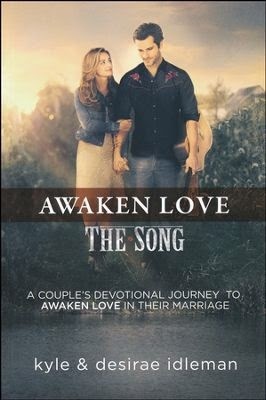 I received The Song: Awaken Love Couple's Devotional complimentary from Flyby Promotions in exchange for an honest review. The opinions expressed are 100% my own. I was excited to get to do this book with my husband because we've never done a couple's devotional together. It is a 6-week devotional, but only has 5 days in each week. It's short, engaging, and centered around building a better relationship with God and your spouse. Each day starts out with a small passage from the Song of Solomon and then goes into the devotional written by Kyle and DesiRae Idleman. It was very easy to read and kept my attention, filled with spots of humor and lots of real life application. Sometimes the language in the Song of Solomon is a little hard for me to understand, so it was helpful for me to see a few verses explained in the devotional. After the devotional is my favorite part....what they call "The Bridge". This section contains a little assignment for you and your spouse. 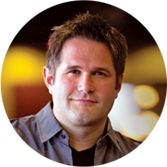 There is usually a few discussion questions and something that you can pray about together. In the first bridge, it has you take each letter in your partner's first name and come up with a character quality you find attractive in them with an example. Some of "The Bridge" sections are pure fun and others dig a bit deeper. Each day ends with another short scripture passage that goes along with the devotional. I think this devotional is a great way to connect with your spouse each day, work on your relationship, and keep the focus on God.